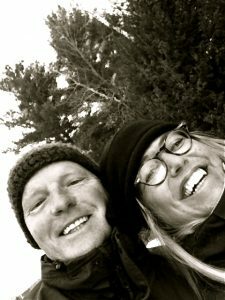 Honest Eyes® was started in 2010 by Karin and Rick Andrews after many years of frustrating experiences buying prescription glasses. Karin, a mom of two and avid photographer, has worn glasses ever since a childhood accident caused damage to her vision. She remembers her mother cringing when Karin needed a new pair of expensive glasses. Karin soon felt the same sticker shock as an adult. Karin has always loved fun, stylish glasses (as her mom did) but the high prices made it tough. How could anyone possibly afford more than one pair? Rick, a management and consumer marketing executive, started researching the optical market right after buying (and then breaking) his first pair of expensive prescription glasses. From a consumer’s perspective, it just didn’t make sense! Why do glasses cost as much as my TV or computer? Why do all the optical stores seem to sell the same stuff? Why are optical stores so cold and “medical” feeling? There must be others feeling the same way. In 2010, the couple decided to put Karin’s sense of design and style together with Rick’s business skills to create Honest Eyes. As “outsiders” to the optical industry, they are committed to doing things differently to provide better prices, better frame designs and better service. After lots of learning and success in Pennsylvania, Honest Eyes opened a store in Traverse City, Michigan in April 2015. The new store was an instant hit and was featured in newsaper articles, live radio interviews and other media.